Popular Online provides a simple and secure way to trade. Please register as Popular Online user before any transaction. Registration is free! Once registration is completed, you can start shopping and enjoy or services. In addition, Popular Online is available for online order only, users are required to complete the transaction payment via online. Order could not be accepted through customer services, tele-marketers, email, fax and etc. Note 1: Click "Continue shopping" back to the homepage and continue shopping. * Each order is applicable with one coupon code only. * Please take note on your “order number”, to let you check on your order status at any time. * Reminder: To check your order status, kindly log-in to your account. • Status of goods and prices, how do I know my order inventory status? Condition 1: In Stock products will be displayed on the information page [In Stock]. Condition 2: Out of stock items will be displayed in the product information page [Order, immediately for your purchase]. * The final actual selling price of a pre-order or out of stock item may differ from its earlier pre-order price. The price will be based on the information displayed on the Checkout page. • Popular Online Store and Popular Physical Store items selling prices are the same? Popular Online Store and Popular Physical Store items selling prices might be different. • Can I purchase a book at Popular Store follow with Popular Online prices? Sorry. Popular Online user could enjoy our services and prices only. • I have added a product into my shopping cart on yesterday, when I proceed to payment, the item prices revealed differently. Why? Item prices will be varied depends on different promotion period, specific items and inventory changes. Please be extra cautious when proceed to payment pages and double check the prices before placing any order. * Online shop users will not be added to the shopping cart will enjoy the priority of subscription and retain the promotional price of the right. • What are the benefits of Popular Member Card at Popular Online Malaysia. You must register and become a user of Popular Online before re-link your Popular Member Card to enjoy membership benefits. • I has registered a member card at Popular Store, can I use it on Popular Online? Can. You can use your popular card at the Popular Online website, as well as over 150 public bookstores in Malaysia, Hong Kong and Singapore, including the HARRIS Bookstore and Malaysia's CD-RAMA. 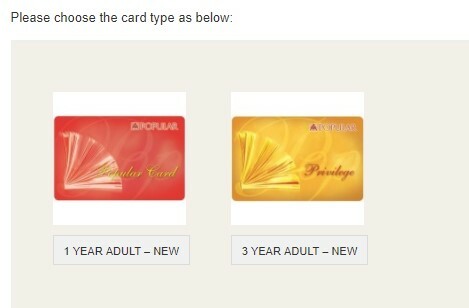 • Singapore Popular membership card can be used in the Popular Online? 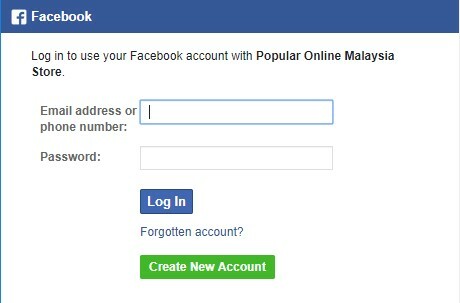 • What are the benefits of Popular Member Card at Popular Online Malaysia? •	20%* discount on Popular Choice, Popular Recommendation Titles and selected member promotion. * All member price as indicated on item product pages and final discount price will as indicated as check-out page. 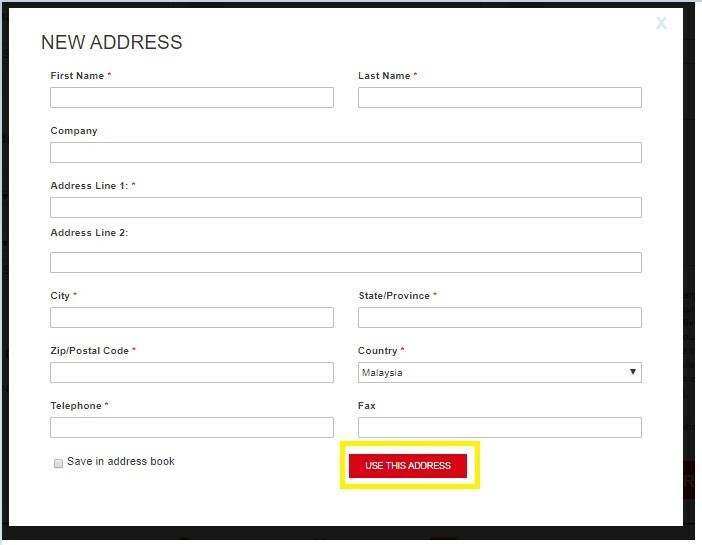 Step 3: Select a region “Malaysia” or "Singapore"
Step 4: Fill in the Member Card number and IC / Passport number and click "Submit"
• When I want to link my card, why the system shows "invalid card detail"? Step 1: Go to the "Popular Member" page and click "New"
• I am a Singapore member, can apply for a Malaysia Member Card online? Malaysia users can choose [Credit Car], [Debit Card] or [Online Payment]. Singapore users can choose [Credit Card]. Popular Online have 2 options of delivery method. [Home Delivery] and [Store Pick Up]. • How to save on delivery fees? * Free Delivery is eligible / applicable for order more than RM80 within West Malaysia. (Total Payment is subjected after discount. * During Malaysia National Public holiday, Festival season, and any unforeseen natural disaster that is beyond control by company, delivery lead time might be extend accordingly. * For [Without Stock] items. Popular Online will place order with respective vendor from its sources origin country. But items have possibility of [Out of print] or any other reason that unable to fulfil by vendors, which will result in Sales Order need to be cancel / refund accordingly. 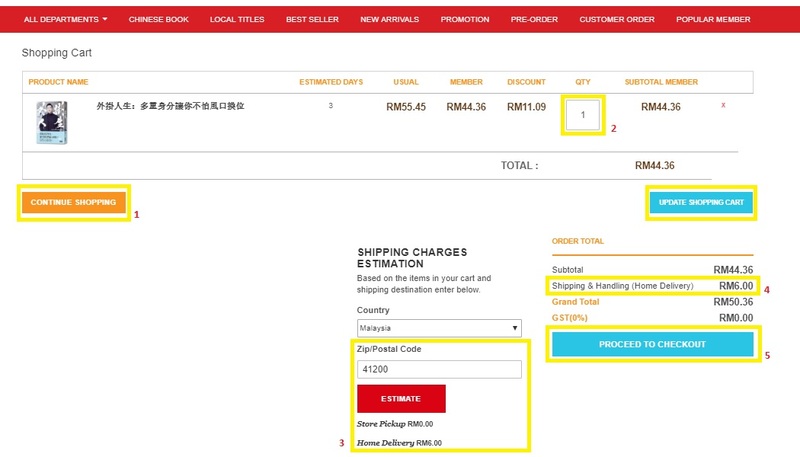 * For order consist of both [With Stock] & [Without Stock] items, delivery lead time would be calculated based whichever items with longer lead time. If you wish to get the [In Stock] item first, you are recommended to separate the [In Stock] and [Out of Stock] item. So that we can process the ‘in-stock’ order first. You can also go to [My Order] to check your order status. Or, you may contact our Popular Online Customer Service hotline 603-8961-0048 or 603-8961-0131 to check with our staff. After your parcel has shipped out, you will receive a system generated [Shipping Notice], to notify you on your parcel status. Please bring your e-mail along as verification document to collect your item. You can collect within 7 days or as per the email indicate at respective store. Please contact our Popular Online customer service hotline, so that we can check and verify with related store and parcel status. * This is to remind you when you arrive at the store, please show the [order delivery notice] e-mail to inform the store with the "recipient's name” (please mention the name as per indicate in e-mail. * As your parcel is fully paid for collection, to protect your benefits and to ensure it’s a genuine collection, please present your shipping notice and identification card as part of collection verification, while you approaching to the respective outlet for your collection. • The book that you order, Popular Online Malaysia or Supplier are unable to fulfill accordingly. For example, out of print. After confirming the details, Popular Online will takes 1-2 weeks to prepare the books URL and notify you to purchase and complete the payment. 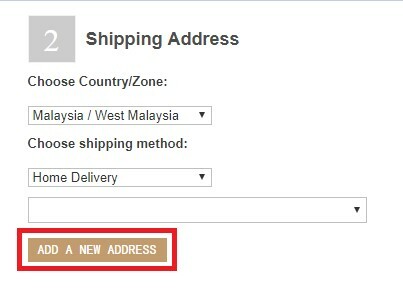 After completing the order, for [Special Order] items, Popular Online will place order with respective vendor from its sources origin country. But items have possibility of [Out of print] or any other reason that unable to fulfil by vendors, which will result in Sales Order need to be cancel / refund accordingly. Hong Kong order book takes 7-11 weeks.